Create digital prototypes with embedded computers and then run workshops for children and adults make and hack them encouraging learning through playful innovation. 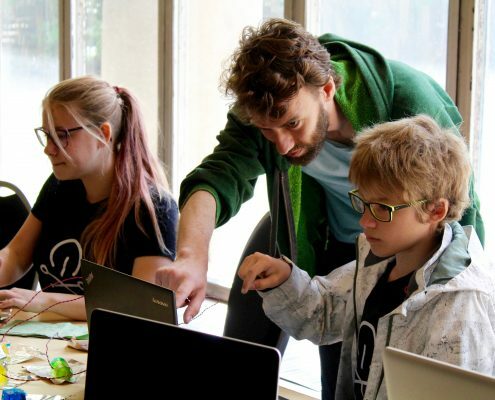 We run workshops where we coach and guide makers through a core sequence of making, coding and hacking and ensure everyone creates their own unique computer prototype! Sandbox Education are a small crew. 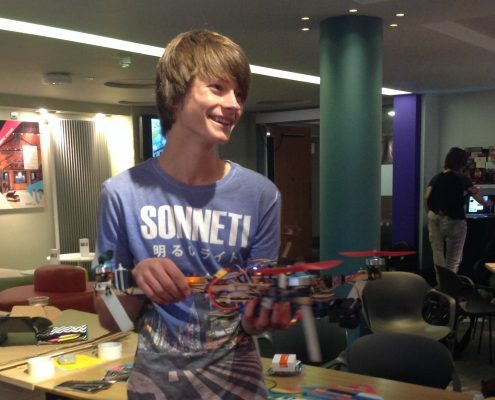 We have educationalists, creative technologists, developers and a drone photographer. We work as partners with organisations to inspire innovation. Tom has a flair for music tech and is an experience web designer for the cultural sector with particular interests in 3D. He is Co-founder of Museum in a Box. Daniel is a talented developer with expertise in music, games and the interplay between them programming in C, C+ , Python, Node.JS, JS, HTML5 and Canvas. Please get in touch to work with us!